Etchant is an acidic compound solution used in lithograph printing to prevent thickness in drawing lines and ink smudges and to improve the moisture retention of the surface. It is used by adding a moderate amount to a dampening solution (the amount varies depending on the manufacturer). The dampening solution should have an acid concentration in the range or pH6 to pH4. There are many types of etchant on the market but, because they vary in the level of acid concentration, it is advisable to read the advisory label carefully and test out the product before using it. If the concentration is too strong, the acid will be transferred to the paper and fine drawing lines will disappear. 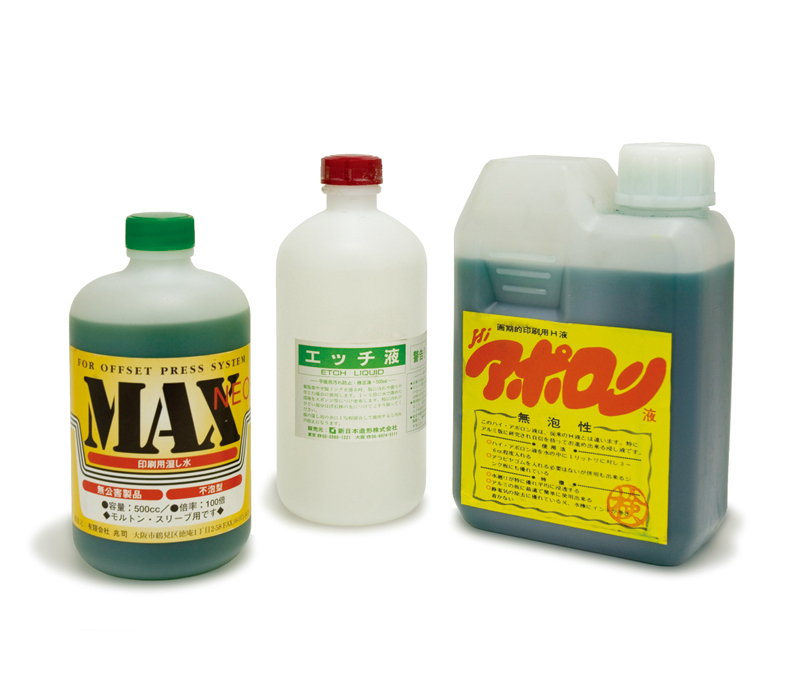 A lot of etchants have a phosphoric acid base and can be made up by adding a moderate amount of phosphoric acid and glacial acetic acid to water. An etchant can also be added to gum Arabic solution for use as proofing solution. Etchant can be purchased at any specialist store that handles printing supplies.